Yesterday we watched a beautiful movie "Cinema Paradiso" which bagged an oscar in the foreign film category in 1989. The story was so magnificently depicted in the film that it touched the chord of my heart especially with the scene featuring the protagonist returning to his homeland after three decades and getting into a spell of reminiscences at the very first sight of his childhood abode. Similar nostalgia grips my mind when I go to Kolkata and visit the places bearing witness to some precious years of my childhood and girlhood days. Nothing about the places seems to have changed much except the characters hovering there and the horizon fast disappearing behind the line of mushrooming buildings. As a child domineered by the elders at home, I used to often dream of growing up when I would be able to enjoy freedom. I believe every age has some pros and cons. Childhood life is fun but it is limited to restrictions set by elders in addition to the stress of studies. Grown-ups enjoy freedom, but their strength is tested by a variety of challenges thrown at every junction of their life in addition to the pain of losing the ones, close to heart, to God. Any day, childhood days are better than the ones set on to the grown-ups. 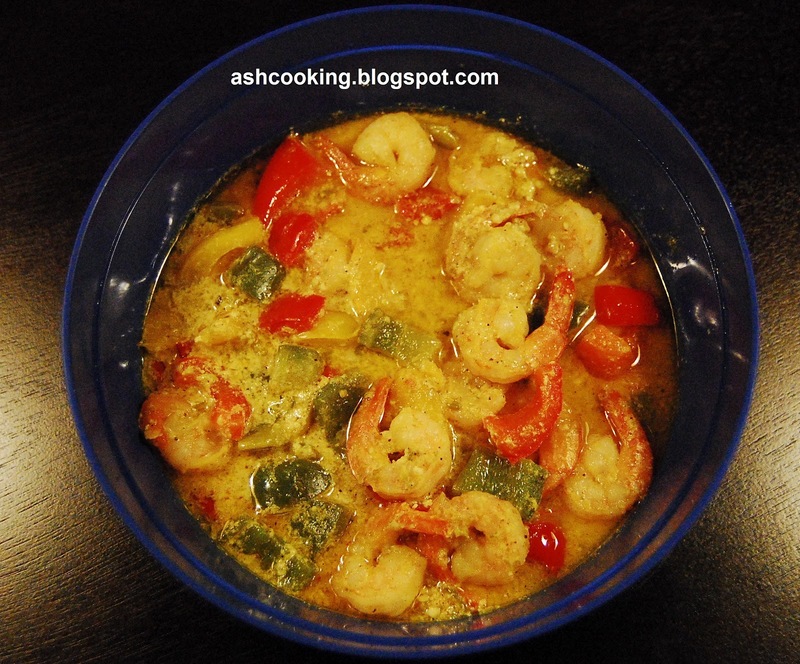 The following recipe is a healthy concoction of prawns in yogurt. Anyone looking for a dish with minimal spices and low calories can be had this dish. Besides being healthy, it is a tasty treat. Me and my hubby just loved it on our Sunday lunch with hot steaming rice. 1) Shallow fry the prawns till they turn orange in color. Keep aside. 2) Heat oil in a wok. Add the bell peppers and capsicum when oil turns hot. Shallow fry them. 3) Beat yogurt in a bowl mixing it with salt and ground chilli paste. Add this to the gravy. 4) Slide in the fried prawns. 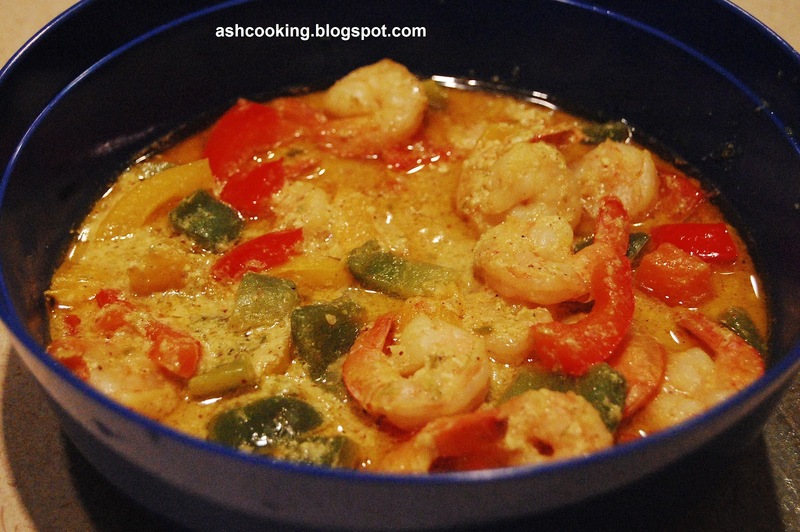 Simmer away on medium heat till prawn is cooked. 5) Sprinkle garam masala powder on top before turning off the heat. 6) Serve hot with pulao or rice.